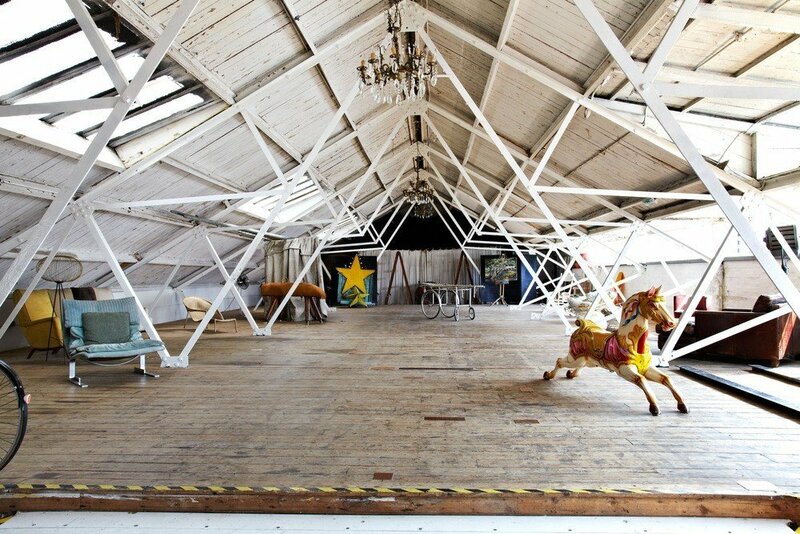 This blank canvas space sits on the top floor of a former cardboard box factory in Dalston, Hackney E8. The total floor area is 7200 sq ft split into two distinct working areas with a large make-up & styling room. The spaces are filled with a collection of eclectic props and furniture that can be arranged to suit. The studio is available for film, stills, promotional events, weddings, launches, jiggles & jives.